The main objective of this post is to describe that how to play with swift programming code in iOS. 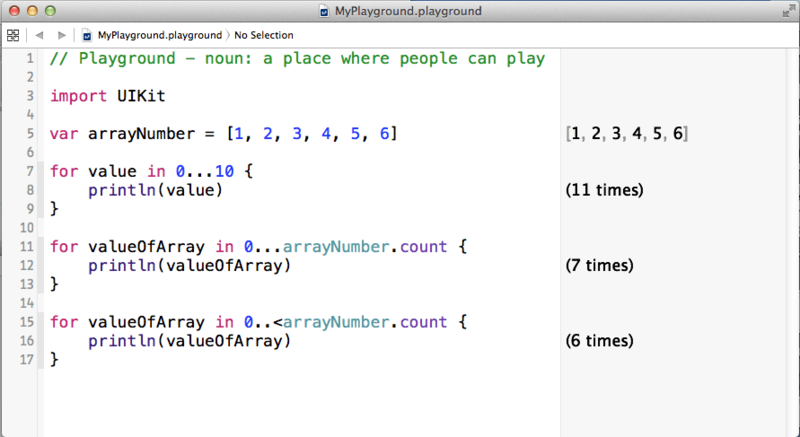 If you play with all code part with new swift language than you play here with on the spot output. 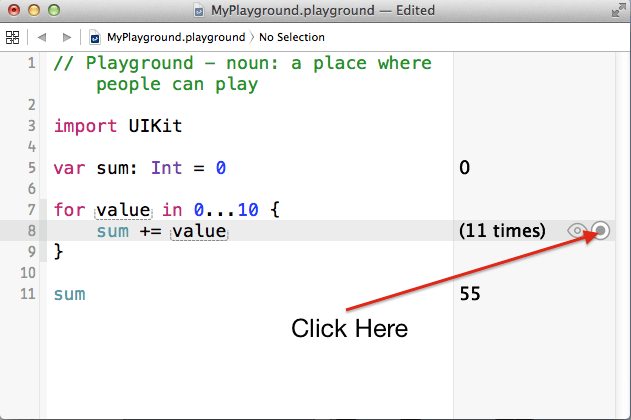 In this post, I’ll show you how you can easily write swift code and each & every line display output on the right side of the screen. 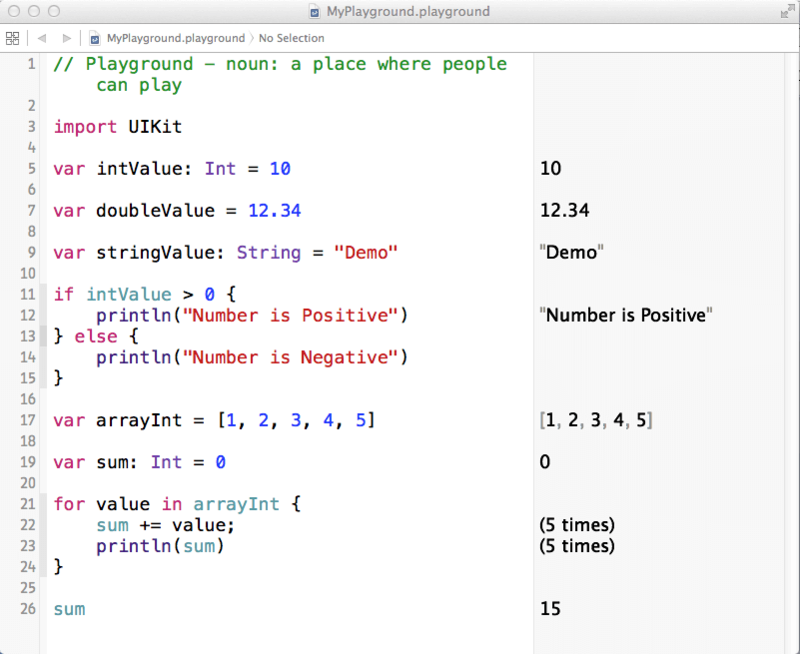 We will simply create a playground area for swift programming language implementation and check different type of things on the screen. 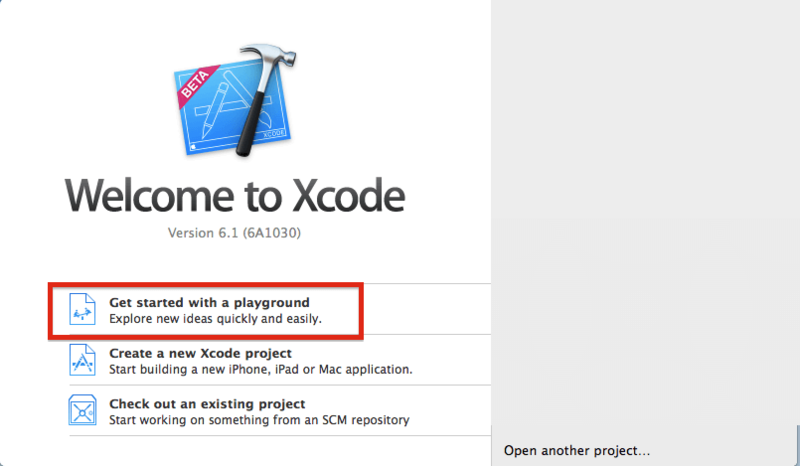 First of all, you must have OS-X 10.9.4 version or later and Xcode-6 Beta version for swift playground. 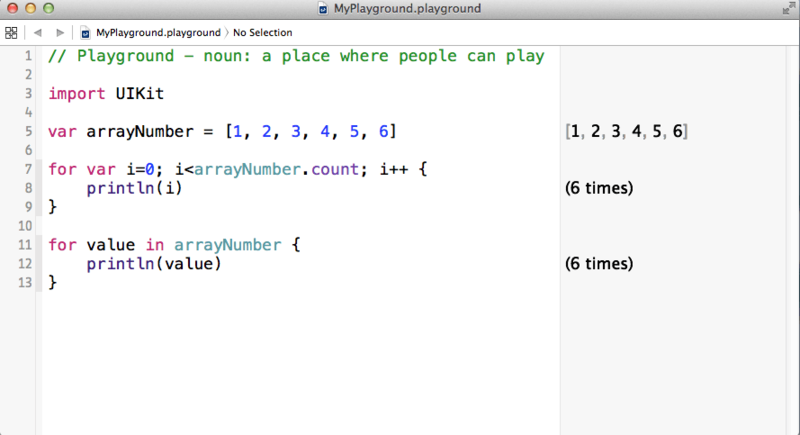 Following are the steps that give you a brief introduction about how to play swift code in playground. Here, left hand side white part is used as editor, here, you can write Swift program and right hand side gray part is used as view Result of your code. 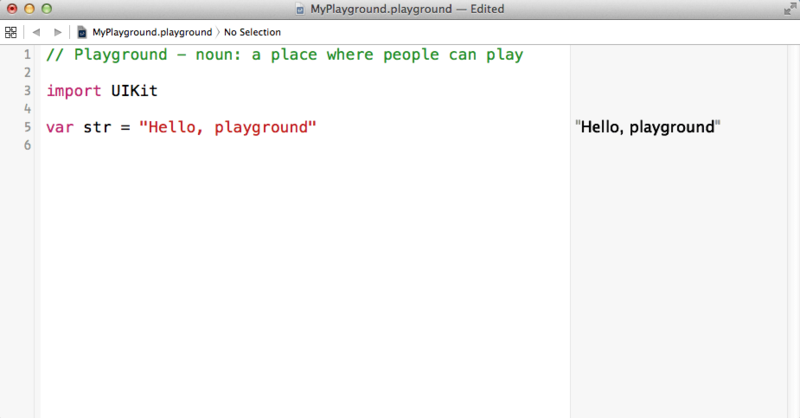 Here, one example is by default create for var str = “Hello, playground” and similarly, display result on right side. Here, you write something and show immediate result on the right hand side. For for-in statement they display how many times execute the loop. It’s easy to identify our loop. This loop print 0 to 10 so, it executes 11 times. But, if arrayNumber is array that has size 6, so those 6-element prints if loop execute only 0 to 5 (arrayNumber.count - 1) times. 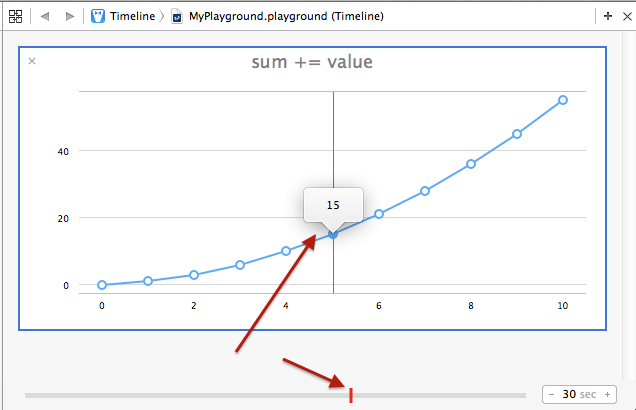 0…10 means starting from 0 and ending with 10 and print whole numbers are in between 0 to 10. 0 … < 10 means starting from 0 and ending with 9 and print whole number in between 0 to 9. 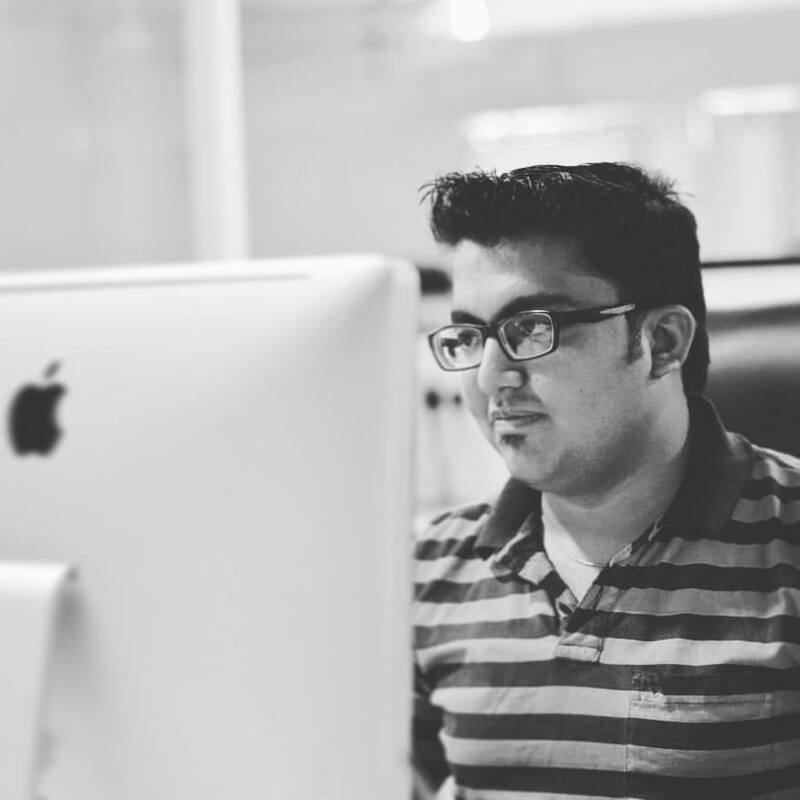 After doing all these things, we conclude that for beginner of swift programmer play board is most useful to know how each & every code works. 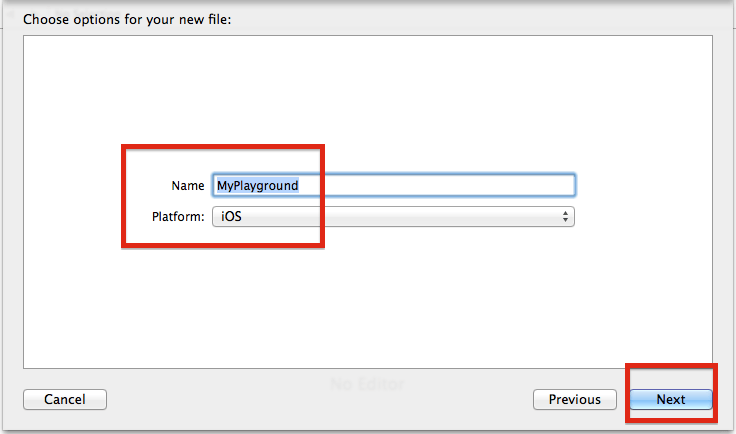 In playground project, we can implement small part of code, which we want to check, and using this we are not handling whole project or entire structure only work with one file, which is myPlayground.playground file.